In the MFA program in film and animation, students create live-action production, scripts, 2D, 3D, or stop motion animation that is unique. 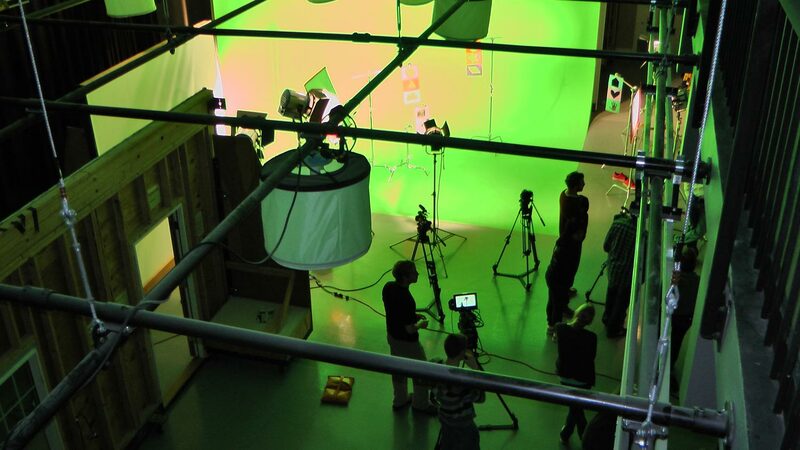 The School of Film and Animation houses state-of-the-art facilities, including full production facilities. The program is also supported by highly specialized faculty from RIT's photography, imaging science, computer science, information technology, and design programs. 2D animation concentrates on traditional forms drawn by hand, a mixture of both traditional and digital, or all digital origination. Students may concentrate their studies on stop motion puppet animation. 3D animation courses focus on advanced 3D modeling, lighting, texturing, and animating in a 3D space. Production allows students to develop and refine their creative approach to fictional narrative, documentary, and experimental live action filmmaking. Screenwriting is an opportunity for students to complete short films with a concentration in creating feature, short, and series length screenplays. All four options require two years of course work and a thesis project. A complete film is required of all first-year students, a complete film or script is required in the second year, and a more ambitious thesis film or feature length script is required in the third year. In the third and final year, students are enrolled part-time and their work is focused only on their thesis project. Elective courses are available in animation, film, video, multimedia, screenwriting, printmaking, painting, sculpture, communication design, museum studies, crafts, bookmaking, typography, color photography, new media, studio photography, advertising photography, perception, gaming, computer graphics, art history, and archival preservation and conservation. There are also opportunities for independent studies, internships, and concentrations. Specific instructions pertaining to the thesis are available in the “MFA Guide for Students and Faculty: Policy Regarding Student Work.” The School of Film and Animation reserves the right to retain copies of student-produced films to be used for educational purposes, to show to prospective students, and as examples of student productions. A character design, with sketches, by Maliheh Rohrovan '19 (film and animation MFA). Based on quality of work, Ting Chu won a Wacom Cintiq Pro in a contest entered by more than 70 College of Art and Design students. Ali Vatansever ’08 MFA (film production) screened his film at The Toronto International Film Festival (TIFF), one of the world’s largest publicly attended film festivals. This course provides specialized knowledge and work in sound to prepare the student to be able to distinguish and evaluate proper sound techniques and productions to encourage the beginning of professional work in the sound industry. Each student records audio and prepares a mixed soundtrack to professional quality standards. A forum to establish among a diverse student group a common vocabulary for discussing film language and structure, collaborative relationships, and a sense of community, while exploring issues related to scene analysis, production practice and planning, story boarding, story telling, visual music, School of Film and Animation policies and professional business realities. This course will provide a general survey of the development of animated film making around the world from the late 19th century to today. It will be an exploration of the history and aesthetics of Animation with emphasis on the unique characteristics of the form and how those characteristics are used as a means of interpretation and expression. This course is an introduction to three-dimensional computer animation. Topics will include modeling, rigging, keyframe animation, forward and inverse kinematics, and rendering. Professional animation software will be used throughout. By the end of the course, students will be able to do basic modeling, rigging and animation. This course will give graduate students a basic and solid understanding of stop-motion animation. The class covers all aspects of stop-motion in its various forms but will mainly concentrate on stop-motion puppet / character animation. There will be demonstrations on model fabrication, animation techniques and camera / grip techniques. This is an introductory course more in-depth topics, like latex and silicon mold making and intensive postproduction techniques will be introduced but not pursued in depth. This course will introduce graduate students to the concepts and mechanics of movement for animation, focusing on, but not limited to, character based movement. Animation principles and theories on movement and acting will be introduced and applied using hand-drawn methods, which will serve as the foundation for their application in any desired medium. Various styles of animation timing will be examined and students will have the opportunity to develop their own sense of timing and movement. Multi-week exercises will be recorded using standard animation software, and will be reviewed, discussed and open to group critique. An introduction into the world of producing television commercials or other 30-second films. Major emphasis is placed on learning to generate and intensify a personal statement through creative projects. Work is critiqued weekly by the instructor and class. Students execute the production of a completed 30-second film. This course will give graduate animation students an opportunity to explore a visual language of acting and posing that will help their storytelling abilities. Acting, timing and pacing are critical elements to any successful character animated film. Identifying and building a library of expressions, poses, and movement for emotional and visual expression is the goal for each student. Students will study reference material from successful silent and animated films. They will also create their own reference material through acting and filming themselves and other students. The visual references will be scrutinized on a frame-by-frame basis for a deeper understanding of this visual language. The class will include demonstrations by practicing actors and animators. Graduates will produce some animated studies related to the acting principles. Students collect and produce short film ideas and learn to express them in a variety of methods. Short film scripts will be written in a workshop setting and shared with class in critiques. Students will learn how to create digital soundtracks and read digital sound. Students will make animation bar sheets for sound/image relationships and timings and exposure sheet design. Students will also work with storyboards scanned into the computer and manipulated in time with sound to create an animatic as another tool for initializing animation production. This course will introduce students to the basics of design as applied to characters and environments for animated productions. Students will create and develop a cast of characters for an imagined property, focusing on group dynamics, visual appeal and personality development. 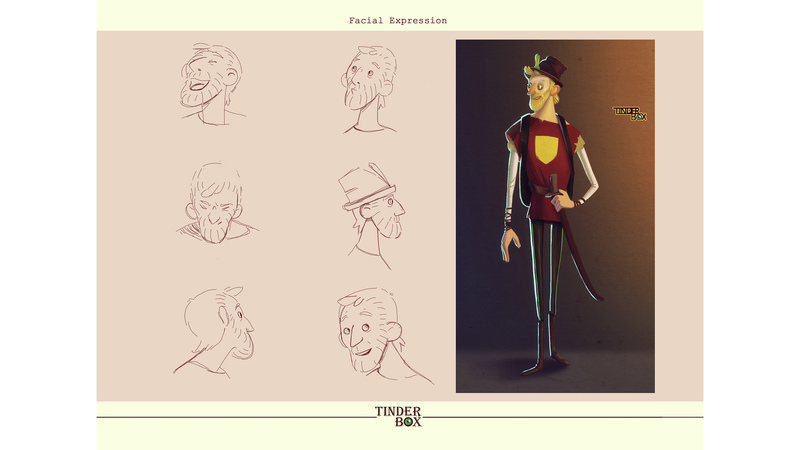 Line, color, texture, shape, form and story will be referenced when developing characters. Students will institute a process of visual development through a variety of exercises, working toward a final, finished group of characters. Strong attention and development will be paid to color, composition, and atmosphere. Projects require a high level of drawing skill and knowledge of perspective, as well as story and character development. Projects will utilize hand drawn, digital painting, live action and subjective techniques. A variety of exercises will cover tone, mood, deep and shallow space, multi-plane movement, and natural and imagined spaces. This course will introduce stop motion MFA students to more advanced techniques of single frame production. The class will be divided into teams that will execute a finished short film complete with post and sound work. Although these finished films will be short and simple they will expose the students to stop motion set and puppet building, lighting, grip work, camera movement and post work. This class builds on the fundamentals that were taught in the Puppet Fundamentals class and advances the student in their understanding of stop motion production. The team members will specialize in certain areas of building, camera work, animation and post work and will contribute to the team film until the completion of that project. The next step for these advanced students upon completion of this class will be to create an MFA thesis film. This course is an in-depth examination of structural elements of both the written and visual aspects of the animated film and the pre-production process, specifically. Particular attention is given to the application of materials to a short film format and the layout of movements and visual composition via editing into storyboards. Students will create and submit various written scripts culminating in a final production script for development into working, formatted animation storyboards. Story elements will be created and shown by developing elements of the script, as well as visual treatments by utilizing subtext and thematic understanding. This course is intended to introduce the student to the theory and practice of making animated films. 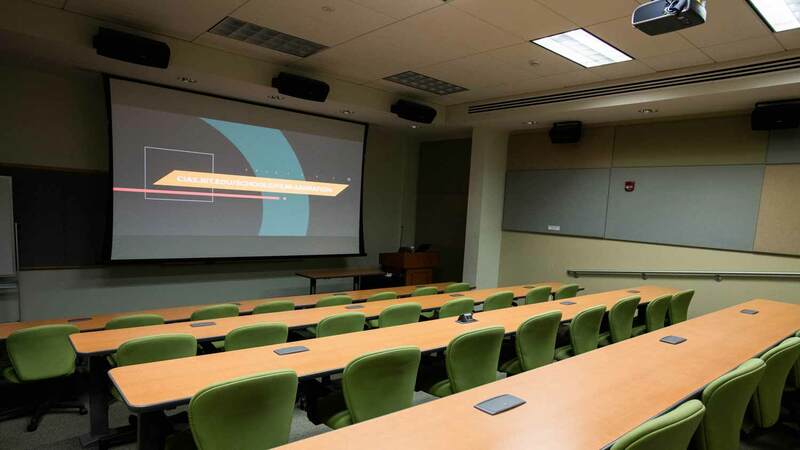 Lectures, readings and classroom discussions will emphasize the history, theory and practice of animated filmmaking with extensive film screenings to illustrate various techniques and related aesthetics and ideas. A contrast and comparison of animation and live action film theory will elucidate the unique aesthetic and expressive properties of the animated film. This course is the students second experience producing a complete animated film individually or in collaboration with a classmate. In this workshop style course, students design and implement all phases of a single-frame film production and produce a short film with sound. Weekly meetings will discuss and critique the progress and merits of each student's work. Students will rely only on techniques learned in previous classes. The final film must be screened for the school community at the end of the course. This course will be geared toward the small animation business owner and individual freelance animator. We will discuss the setting up of a small business and all of its operations. There will be reference to bigger business entities and many of the same principles will apply to both types of businesses. The elements of discussion will teach students how to go about approaching animation work in the industry from a small business point of view and from an individual approach. There will be many references and sources pointed out in class, including State, Federal and private websites full of information on the workplace. The class will discuss the creation of sample reels, websites, self-promotion, research and interview techniques all related to the individual animator. Discussions of ethics and individual responsibilities will be covered. Thesis Preparation Seminar provides the opportunity for students to develop a written proposal for an MFA Thesis, to find a thesis chair and committee, and to present and argue for that thesis before a faculty committee seeking approval of the proposal. The thesis will provide the backbone of a candidate's final film-making production leading to the masters of fine arts and the written and final thesis paper. This course builds on information gained from foundation animation courses. Multi-week assignments will allow students to fully grasp the production process involved in hand-drawn animation and develop an understanding of different parameters commonly found in animated films, including but not limited to character interaction, emotion and animal movement. Students will have the opportunity to explore various approaches to timing, movement, acting and characterization. Character design and solid drawing skills are highly recommended. Adobe After Effects is an indispensable tool for anyone working in animation or motion media. This course provides the instruction needed to go beyond the basics to make full use of this powerful tool. Students will be instructed in the program's theory of operation and given practical experience performing operations commonly used in animation production. Students work independently according to their approved timeline on their thesis project. They must meet on a regular basis with their committee chair and at least twice with their full committee during the semester. This is the first of two courses designed to advance a student towards completion of their thesis. Once the thesis committee determines that the candidate has completed 50 percent or more of the project the student should register for SOFA-890-Research and Thesis. Students work independently according to their approved timeline on their thesis project. They must meet on a regular basis with their committee chair and at least twice with their full committee during the semester. This is the second of two courses designed to advance a student towards completion of their thesis. Once the thesis committee determines that the candidate has completed 50 percent or more of the project in Research and Thesis I the student should register for this course. Students must also write a Thesis Paper that summarizes in detail their thesis experience. This course pushes character animation to a new level with drama, emotion, and speech. Topics will include facial expressions and scenes with multiple characters interacting. Professional animation software will be used. By the end of the course, students will be able to create advanced biped character animation with dialogue and emotion. 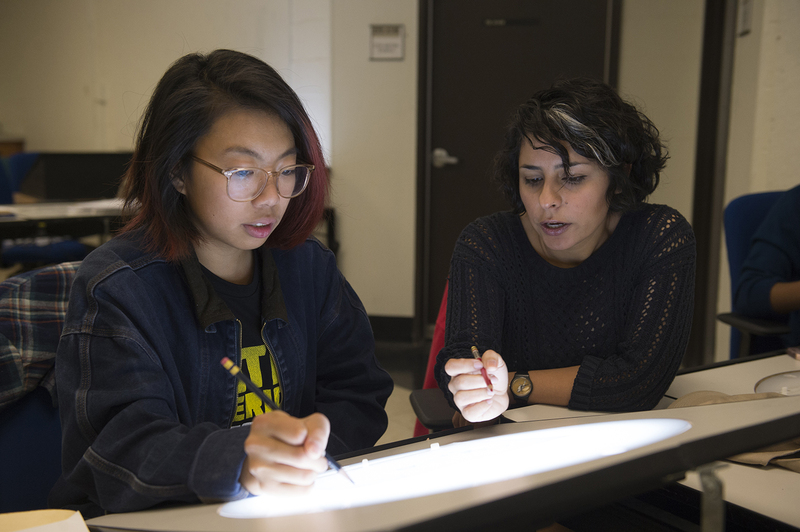 Students will learn to use lighting in three-dimensional software. Projects include modeling, texturing, and lighting of objects, characters and spaces. Students will match photographic images and three-dimensional objects in lighting, blur, color, contrast and perspective. Students will imitate photorealism by combining shadows, textures, direct lighting, indirect lighting, reflections, and refractions. Students will use a variety of rendering programs to create composites. In this course students explore the world of cinematography and lighting and how they relate to each other. Students participate in weekly hands-on exercises to develop and improve cinematic storytelling through composition, framing and lighting techniques. An introduction to the arts of directing and acting with an emphasis on script analysis, performance, and blocking. Students direct and act in scenes from professional productions. Scenes are rehearsed outside of class, and then staged and critiqued in class. This course focuses on the forms and techniques of writing for visual media, particularly the short film. Throughout the course, students develop resources for finding stories and concepts that can be turned into films. Students are responsible for writing a short script of their own choosing and for completing several brief written exercises in areas such as personal storytelling, character development, dialogue, and plot. Scripts written in this class can be used as the basis for films produced in other classes. Graduate students complete their first full semester production. They must decide on a concept, develop a treatment, write a script or research a non-fiction subject and produce the film complete with mixed track and finished titles and credits. This course explores the short screenplay as its own genre and as a stepping-stone to writing longer forms. Students improve their ability to develop goals and obstacles and, thereby, create a complete narrative journey. Students write approximately 15 minute film or animation scripts. Film scripts may be used in production courses. This course allows 2nd year graduate student in production or screenwriting an opportunity to complete their second major production in the program. They must decide on a concept, develop a treatment, write a script or research a non-fiction subject and produce the film complete with mixed track and finished titles and credits. This graduate seminar explores storytelling across a multitude of hybrid forms. It examines an array of fictional and non-fictional strategies as fluid and organic form-content relationships that constitute the shared language between Cinema and New Forms. The creation of a hybrid character in this class is complemented by experimentation in the ways in which we experience characters and stories in contemporary times. Students develop a final semester project, two position papers and an artist statement. The course encourages the use of new media technologies including archival material, prosumer cameras and software. An introduction to all aspects of the business side of professional film/video narrative and commercial production. Students develop a business plan to create their own production company while learning alternative careers in film, basic financial and legal protocol, and mental preparation needed to enter the film business market. This is course is an exploration of the feature film form. Students propose ideas for a feature length film and in consultation with the instructor and other students, write a detailed step outline and a substantial portion of the first draft. This course is an introduction to all forms of series writing for television and the Internet. Students will choose to write either a one-hour pilot for a dramatic series, or a half-hour pilot and an additional episode for a single-camera comedy series. All students will develop and write a series “bible,” a thorough description of all the characters and the world in which the series takes place as well as how the series may develop with future plotlines. Submit a two-to-three minute online self-portrait video. Students who are evaluated to have MFA potential but need additional study in preparation for graduate courses will be advised to take such courses either prior to entrance or during their first year of study. All correspondence concerning application materials as well as all submissions deadlines should be addressed to the Office of Graduate and Part-time Enrollment. The review committee is looking for work that is original in concept and content. It does not need to necessarily be motion media, but should be visual or aural. Examples include films/videos, photos, drawings, paintings, sculpture, stop motion puppets, scripts, storyboards, and original music. Applicants must present what they consider to be the best of their work, not all of their work. Films or videos should total 12 minutes or less. A short, complete piece of work is preferable to a demo reel. If there are no short works then a 12 minute excerpt of a longer piece is acceptable. Applicants must place their portfolios on a web or FTP site, such as Vimeo or YouTube, that can be easily accessed by RIT faculty for review. Applications should include a URL/web or FTP address to the online portfolio. If the portfolio is placed on a shared web or FTP site that contains other files, be sure the file name contains your full name (which must match the name used on your application materials). When applicable, please include any usernames and/or passwords necessary for access to your portfolio. Please provide an inventory sheet or table of contents with your portfolio, and if it is not obvious, clearly indicate what your combination was to group and collaborative pieces. This can be a separate description or can be included in the portfolio presentation. Applicants are also required to produce a two-to-three minute self-portrait video to accompany the online portfolio. This should include information about you, such as why you want to attend the School of Film and Animation, the program concentration you wish to pursue, and why. Please include information about one significant accomplishment you have made. Sound and picture quality should be clear. The online portfolio and self-portrait must be mounted on Slideroom.com once a Slideroom account is established. For more information about portfolio guidelines please visit the graduate portfolio requirements page of the Office of Graduate and Part-time Enrollment. Graduate-level course work taken prior to admission should be submitted for approval upon entrance into the program. Up to 8 semester credit hours of graduate work with a grade of B or better is transferable and may be counted toward the MFA degree, with the approval of the graduate faculty. Students must maintain a B (3.0) average GPA to meet graduation requirements for the MFA. Thesis hours are usually completed over two semesters. Acceptance or rejection of the thesis is made by the candidate’s thesis board and the graduate faculty. Screenings are required for all student-produced films and are coordinated through the professor or the thesis chair.